Experience the Thrill of the Fighting Samson! Samson jigging can be a terrific experience for people. Tourists from all around the planet flock to the lovely Western Australia coast to try to catch this thrilling sporting fish (unfortunately, they aren't great for eating). If you want to have an unforgettable time in Perth, it honestly doesn't get much better than samson jigging. The good news is that WA Fishing is available to help you enjoy a Samson jigging experience that's one for the record books. Our company can guide you to the Perth coast. We can give you an in-depth glimpse into the massive schools that gather in the area on an annual basis. We're a renowned jigging operator that's passionate about full customer satisfaction. We're a jigging operator that does whatever is necessary to provide customers with jigging trips that live up to all of their wildest dreams. ​If you sign up for one of our amazing jigging excursions, we'll give you access to top-tier equipment. You never have to bring your own reels and rods. We'll even feed you. Our trips come with cold water, soft drinks and tasty lunches. What else could you possibly need for the day, apart from landing some serious sized fish? ​Samson fish have the distinction of being among the planet's most powerful fighting fish. If you want nothing more than to see them in action, WA Fishing can lend you a helping hand. Their summertime gatherings are truly mesmerising. When you participate in one of our Samson jigging trips, you'll be around our seasoned crew members. They'll show you all of the most advanced jigging methods out there. They'll present you with modern and reliable tackle, too. If you want to learn about release practices that are tried and true, all you have to turn is turn to our knowledgeable and attentive specialists. They're always more than happy to guide people. 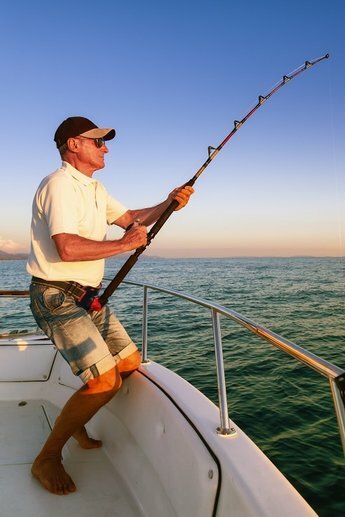 ​WA Fishing can accommodate individual Samson jigging booking requirements. We can also accommodate bookings for larger groups of people. It doesn't matter if you want to reserve a space for an individual or if you want to reserve an entire boat. Our firm will do whatever it takes to make you smile. Don't miss out on your chance to see Samson fish in all of their glory. These fish are true symbols of the beauty and charm of Perth and Western Australia in general. If you're looking for an experience that's distinctly 'Perth,' you honestly have no excuse not to participate in one of our Samson jigging trips. Our Samson jigging excursions are ideal for people who want to take it easy. They're optimal for people who love learning and exploring as well. 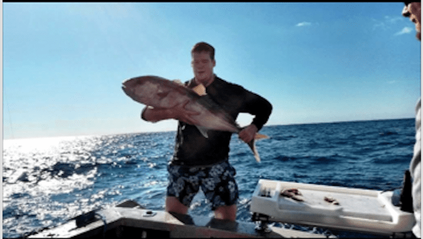 If you're on the lookout for the most reputable Samson jigging trips in all of Perth, WA Fishing is without a doubt the answer you need. Call our company as soon as possible to learn more about our in-depth excursions. Contact us without delay to book an appointment as well. We're eagerly waiting to hear from you.